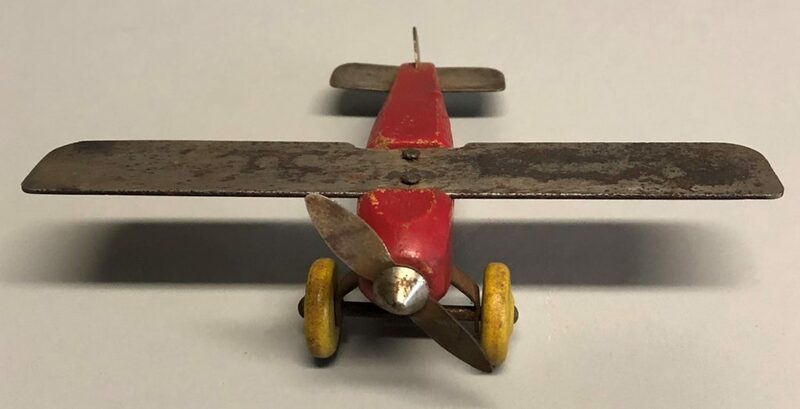 This is a Strombecker metal wing airplane that is less common than the wooden wing. It measures 5″ long with a 6″ wing span. These are from the 1930’s.